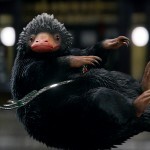 Pottermore caught up with the cast of Crimes of Grindelwald at San Diego Comic Con to discuss new and old characters alike, similarities between Fantastic Beasts and Harry Potter, and – most importantly – Nifflers! 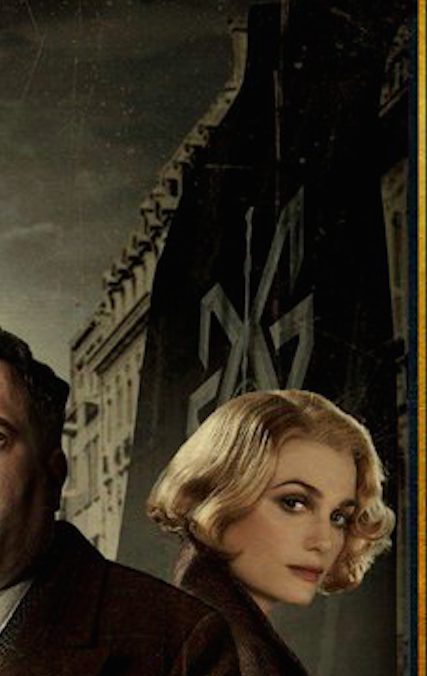 Various interviews with the cast have surfaced since the Fantastic Beasts Comic Con panel revealed the official Crimes of Grindelwald trailer at the event. 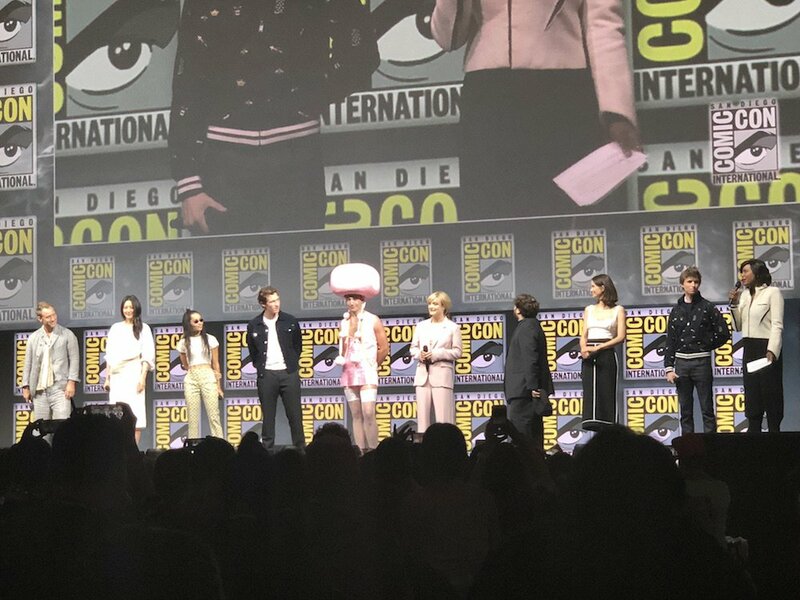 Eddie Redmayne (Newt Scamander), Katherine Waterston (Tina Goldstein), Dan Fogler (Jacob Kowalski), Alison Sudol (Queenie Goldstein), Ezra Miller (Credence), Callum Turner (Theseus Scamander), Claudia Kim (the Maledictus), Zoë Kravitz (Leta Lestrange) and Jude Law (Albus Dumbledore) were in attendance on the Saturday (as well as a brief appearance from Johnny Depp in-character as Gellert Grindelwald), and Pottermore caught up with them to find out more about the film and their thoughts on the story it tells. The old guard discuss making a comeback for Crimes, and Ezra Miller summed up his thoughts first, saying that getting a part in the first movie felt like “a life pinnacle” to him, as a huge Harry Potter fan. Not thinking it could get any more surreal, he soon realised he was wrong:“then this movie came along, and I feel like the number of connections between this and Harry Potter – it multiplies.’. Katherine Waterston and Alison Sudol discuss returning to their characters, and what we see of their evolution in the second film – whilst we see Tina return to work at MACUSA, she’s “not confident in all areas”, and Queenie’s storyline is super-secretive and entirely different! Sudol does say: to maintain the excellence of her and also let her grow was a challenge” . We theorised that Queenie could be tempted or otherwise afflicted by Grindelwald’s rally (in the trailer she certainly appears pained or concerned) – is this what she’s referring to? Pottermore then moves onto Dan Fogler, who’s happy to be returning for a sequel, and that Jacob’s had a wardrobe improvement! Newcomers Callum Turner, Claudia Kim and Zoë Kravitz are all thrilled at the opportunity to join such a huge franchise. Callum admits he was nervous, and Zoë told Pottermore that receiving a wand was the ‘big moment’ which made her realise ““Oh okay, this is real!”, and Claudia said that meeting J.K. Rowling was her big moment – no surprise there! What are your thoughts on this take on Dumbledore’s character? Eddie tells Pottermore that he sees Newt and Dumbledore’s relationship as “master and apprentice” – do you think this was the same for Dumbledore and Harry? See more of the cast’s thoughts on relationships in this movie here. Baby Nifflers?! 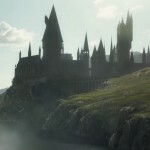 Prepare yourselves for November, and read Pottermore’s full interview here to find out the cast’s Boggarts, details on Jude Law’s excitement on seeing Hogwarts for the first time, and more! Also see: Scholastic’s 20th anniversary Harry Potter panel moderated by Melissa Anelli here, cast interviews with Entertainment Weekly here, and more video interviews with the cast here.